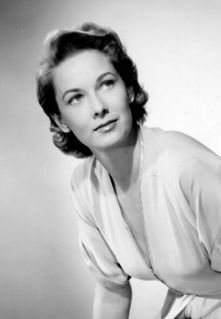 Vera Miles is a retired successful Hollywood actress and had roles in such films as The Searchers, The Wrong Man, Psycho, Psycho II, Tarzan’s Hidden Jungle, The Man Who Shot Liberty Valance, Hellfighters, Beau James, 23 Paces to Baker Street, The FBI Story, Back Street, and Sergeant Ryker. She starred with leading men Henry Fonda, John Wayne, James Stewart, Bob Hope, Van Johnson, and Lee Marvin. She was a favorite of directors John Ford and Alfred Hitchcock. She also appeared in television series and movies such as The Initiation, Into the Night, The Alfred Hitchcock Hour, The Twilight Zone, The Fugitive, My Three Sons, Bonanza, The Fugitive, The Man from U.N.C.L.E., Columbo, and Murder, She Wrote. She made guest appearances in Hawaii Five-O, The Streets of San Francisco, Fantasy Island, Hotel, and The Love Boat. Miles starred opposite Fred McMurray in Disney’s Follow Me, Boys, where she played the wife of the Scoutmaster and “mother” to dozens of Boy Scouts. The Boy Scouts of America honored the film production company and actors for depicting in a realistic manner the positive influence that Scouting can have on a community and a boy’s life. Miles is a member of The Church of Jesus Christ of Latter-day Saints and was a member of the Hollywood California Stake. She is the mother of four children. She was born Vera June Ralston in Boise City, Oklahoma, on August 23, 1929. She grew up in Kansas and was crowned Miss Kansas in 1948; she was third runner-up in the Miss America contest. She landed her first television and film roles in 1950 after she moved to Los Angeles where Howard Hughes sent her to acting school. She retired in 1995. This page was last edited on 25 January 2019, at 15:12.